Now you may wonder why Vietnamese have such lunch nap habit. I was once asked that question by an Australian colleague and after some analysis, here is my answer: Vietnam has been being an agricultural country for thousands of years when the majority of its population are farmers working on the fields. As a farmer, one simply does not want to expose himself under the tropical sun at noon time. Additionally, a big meal at lunch is really necessary for a farmer to gain enough energy for the afternoon and hence, it may take time for him to get back to work after that. As a result, a big lunch followed by a nap is a perfect solution that help people to avoid the tropical sun at peak, regain energy and refresh the body, ready for the afternoon. 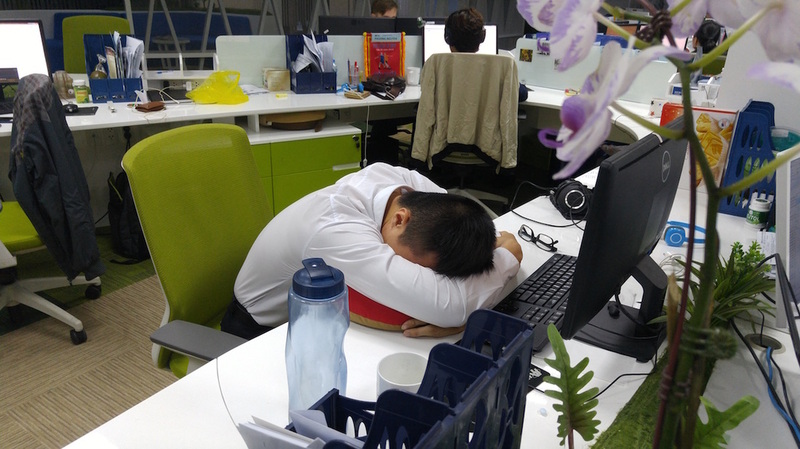 In fact, until 20 years ago when Vietnam was not open to the world yet, all staff at that time (mainly worked for the government or state-owned companies) had 2-hours lunch break from 11am to 1pm when they could go home to have a big meal and took a long nap. 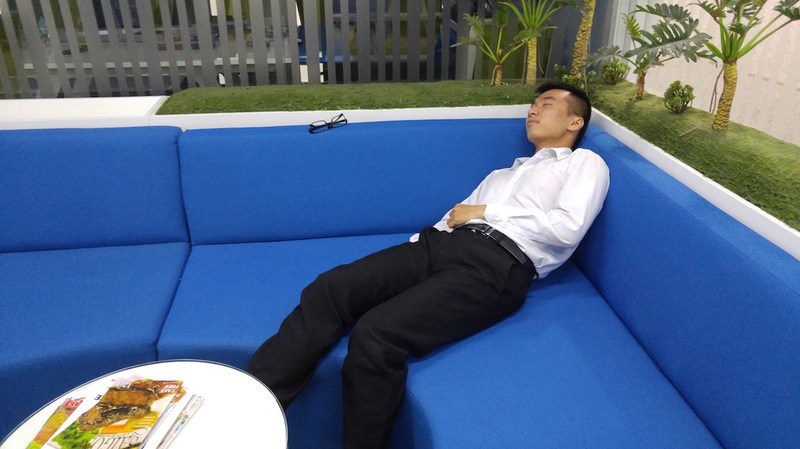 Knowing that lunch nap is a cultural tradition, you should not be shocked when encountering people sleeping in the offices during lunch time in Vietnam. Nowadays, companies like Google, Nike or Zappos also realize the benefits of power nap and even encourage it. 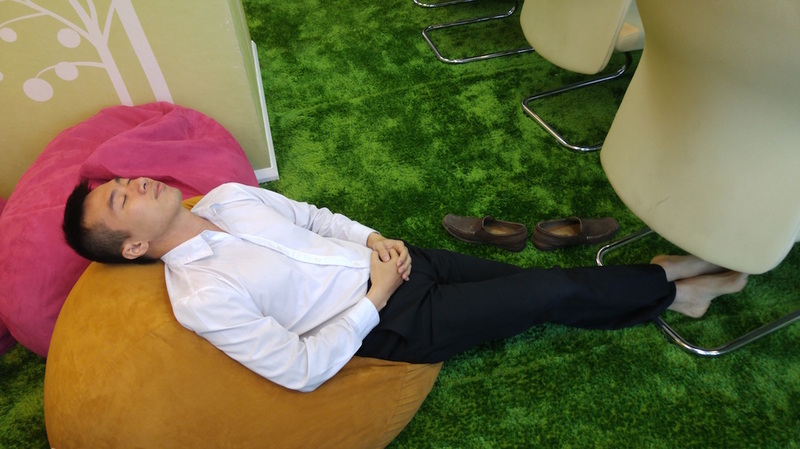 So if a 20-minutes nap can improve staff’s productivity in the afternoon and Spanish have their siesta then it should be normal for Vietnamese to have lunch nap in the office. Most companies in Vietnam has a one hour lunch break when staff can have lunch or relax. 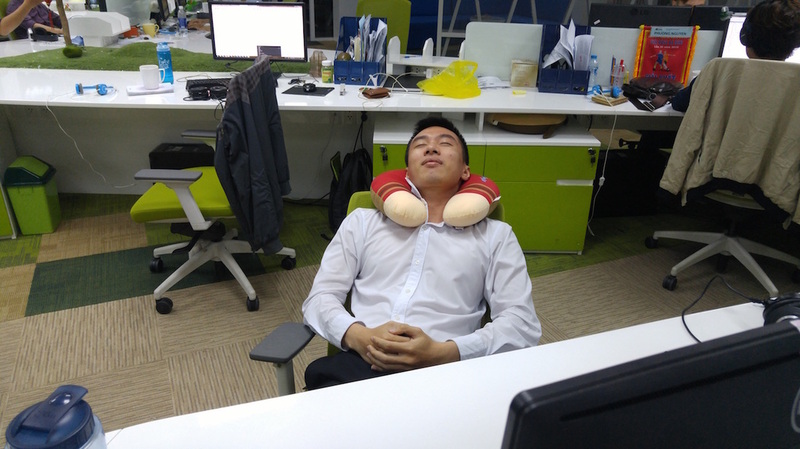 Many Vietnamese take a short nap after lunch in the office. For those who don't work in an office, they can also take nap on the street.